Our Infinity Name bangle provides the best way for you to show off what the word "forever" means to you. 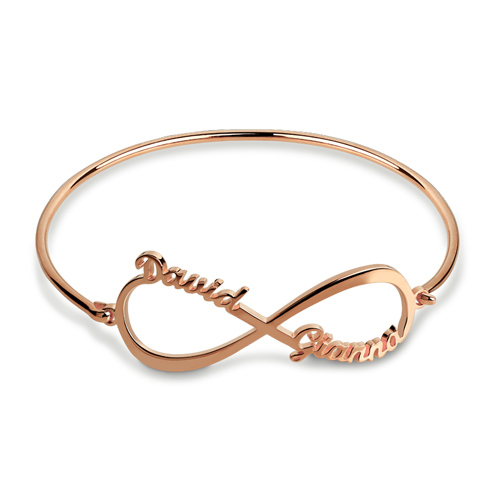 This item is made of sterling silver 925 and can be set with two names of your choice on the infinity symbol. 1. First letter of name or word is capitalized by default..
3. The chain length mentioned at our website includes the infinity. Click here to check the bangle size guide.